Want to know how much you can fit in the back of a Ford Transit van? Then you’ve come to the right place, as here we have full load area dimensions, capacity and payload details. 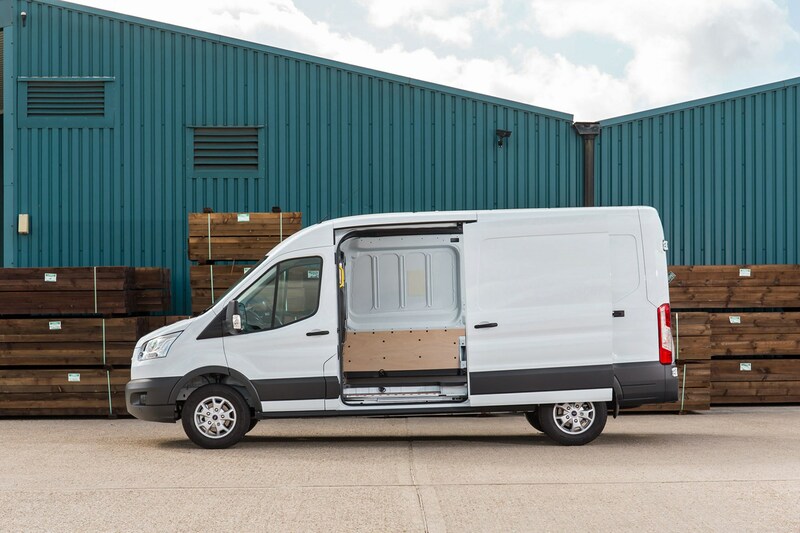 This generation of Ford Transit – which is not to be confused with the smaller Transit Custom – comes in three body lengths, two roof heights and two wheelbase lengths. This is not as much variety as some rivals – many of which can also accommodate greater payload, and offer far higher maximum gross vehicle weights. However, the Transit remains good value, and there are drivetrain options to suit all uses. Front-wheel drive (FWD), rear-wheel drive (RWD) and all-wheel drive (AWD) are available on all but the largest Ford Transit version (which is RWD only), plus there’s the option of a six-speed automatic gearbox on FWD models following the adoption of the new 2.0-litre EcoBlue engines in 2017. In addition to the basic panel van (above), the Transit also comes as a Double-Cab-in-Van (DCiV), with a second row of seats and space for up to seven people on-board (below). All models – including the DCiV – feature a full bulkhead for safety and security. 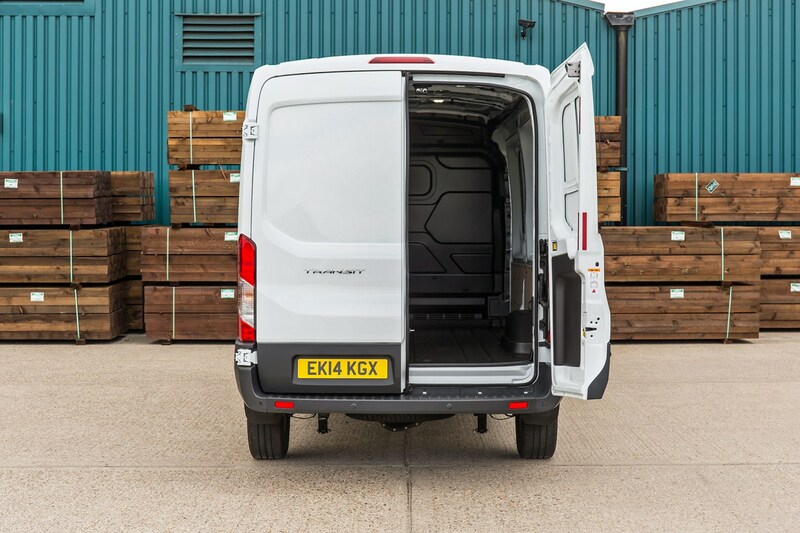 We're concentrating on the dimensions and load capacity of the standard vans here, but the Transit is also available as a chassis cab. 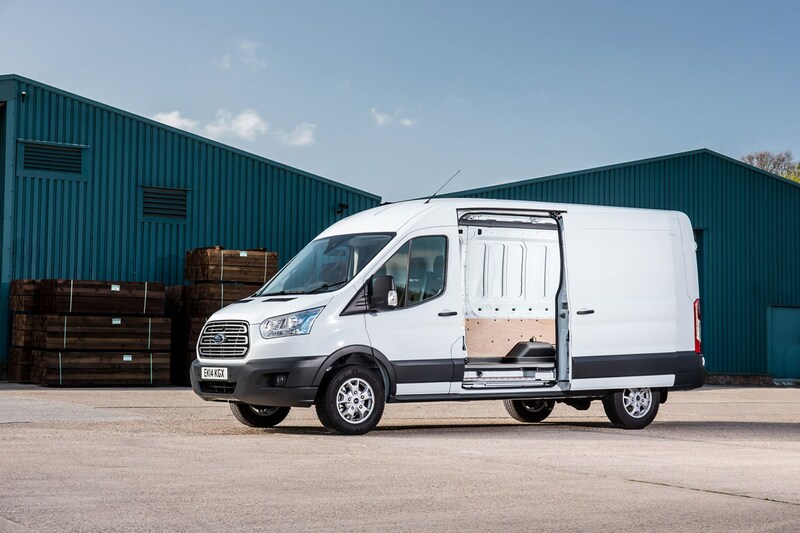 As such there are numerous conversion options if you need something more specific – we have a review of a Luton body Transit on the main review page – and in July 2018 Ford added a so-called skeletal chassis cab variant as well (below). 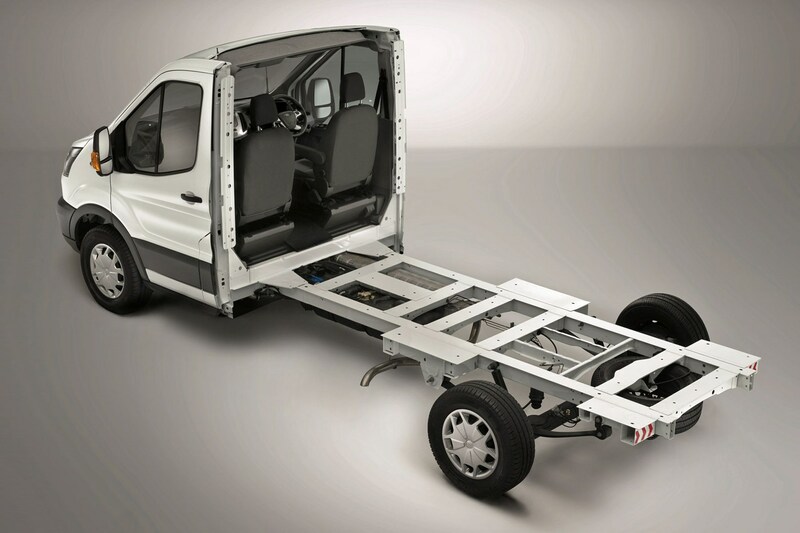 This uses a more minimalist rear structure with an open-backed cab area and comes on the FWD platform only, delivering a 200kg weight saving over the conventional chassis cab and a load floor height that is up to 100mm lower. 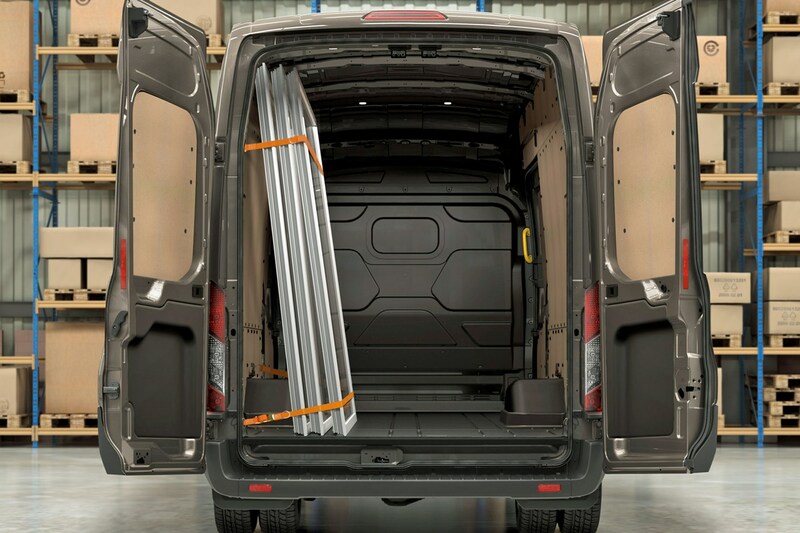 Higher-specification Trend variants come with an ‘easy clean’ load floor and half-height boarding, but all versions get load lashing points as standard and there is a vast array of official Ford optional extras for added practicality. These include internal and external roof racks, roof base carriers (supporting up to 150kg), roof access ladders, and a variety of interior load restraint systems including load space dividers, cargo nets and retention packs with side lashing rails. 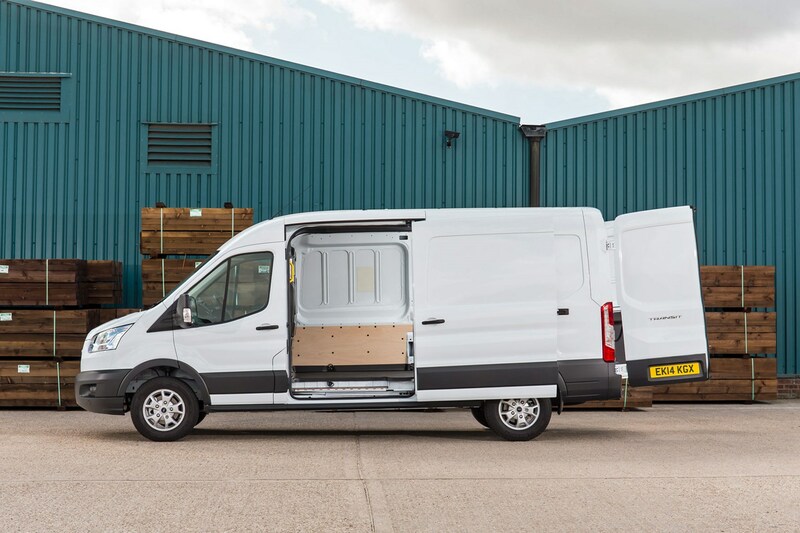 Both the conventional Ford Transit panel van and the Ford Transit DCiV are available in every body size, though obviously the former has more load space as it has fewer seats. 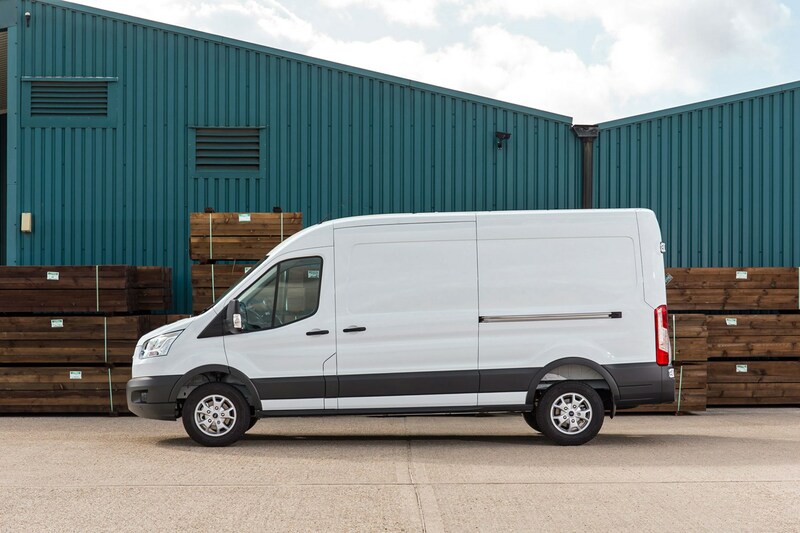 As is typical for vans these days, Ford has given the bodylengths L numbers and the bodyheights H numbers – though neither of them start at one (which is also pretty standard with large vans, if unkind to those with OCD). As such, the shortest Transits are L2 models, with a shorter wheelbase (the distance between the front and rear axles) to match; the middle length L3 Transits and the longest L4 variants – also known as the EL L4 or even Jumbo if you’re old school – share a slightly increased wheelbase. 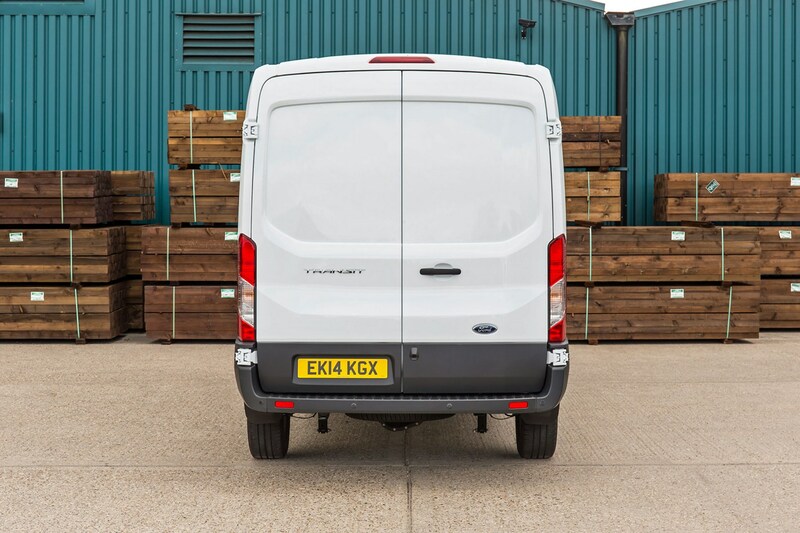 Ford Transit height options are H2 and H3 – though the amount of load height inside also varies with drivetrain. With no need to make room for a rear differential, FWD models have lower loading floors and therefore greater ultimate capacity. However, note that L4 Transits are only available with RWD. 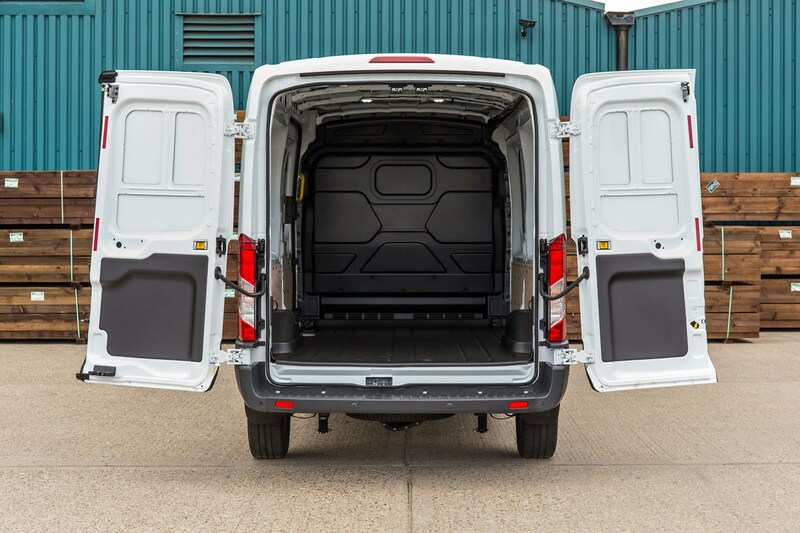 These are the same for panel van and DCiV models – with the notable exception that the sliding side-door opening on DCiV models is 1,200mm rather than the 1,300mm you get with a panel van. People are generally smaller than pallets, so that shouldn’t be a significant issue. Note that the big L4H3 variant is only available in rear-wheel drive (RWD); it's also offered with a twin-rear wheel back axle for heavy duty operation, which increases the width of its body. 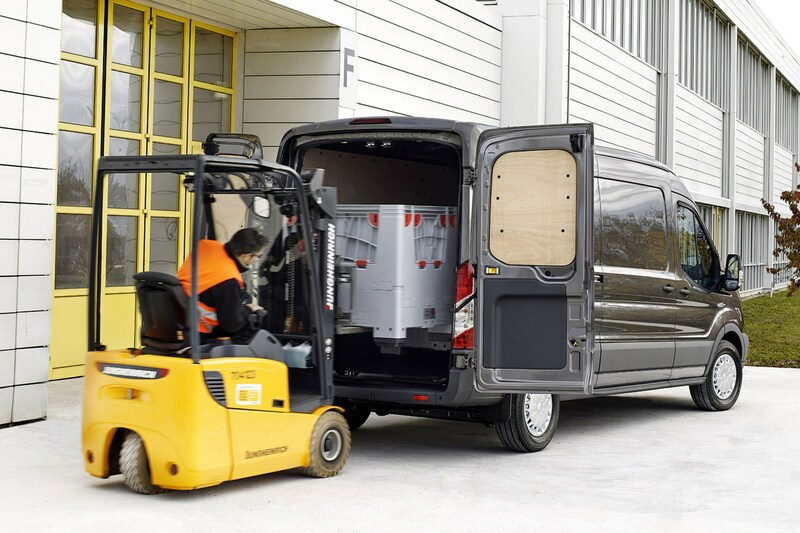 The height of all Transit van models varies with specific equipment. 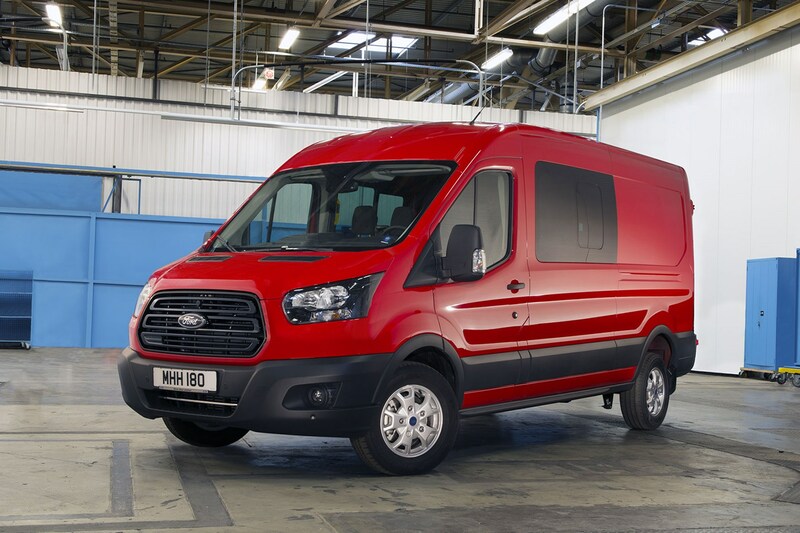 With a maximum load capacity of 15.1 cubic metres (cu m) in its biggest L4H3 guise, the Ford Transit falls somewhat short of the largest rivals now. Regardless of bodytype, you can clearly see that front-wheel drive (FWD) Transits have greater load capacity than rear-wheel drive (RWD) and all-wheel drive (AWD) Transits - in terms of both maximum load height and maximum cubic capacity. This is caused by the increased height of the load floor made necessary by the oily bits needed to deliver power to the rear wheels. You'll also have to lift items higher to get them in the back for the same reason. 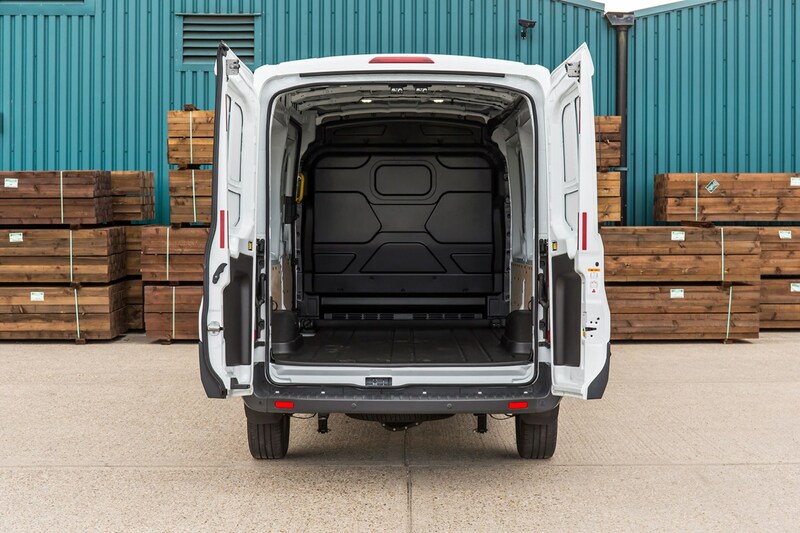 Payload isn’t a particularly strong area for the Ford Transit, compounded by fairly limited higher gross vehicle weight (GVW, also known as gross vehicle mass or GVM by Ford) options. You cannot legally drive anything above 3.5t GVW on a standard UK car driving licence. 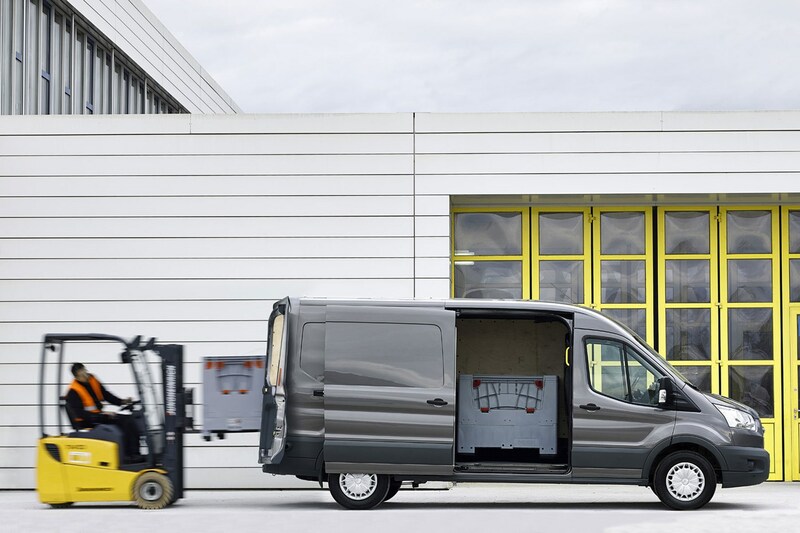 The absolute maximum payload for a 2.0-litre Ford Transit is 2,169kg, available from the 470 L4H3 model (which is a 4.7-tonne GVW variant). This also varies with model series, bodysize, bodytype, drivetrain and transmission. All versions will tow the standard 750kg unbraked, but braked towing ranges from 1,650kg to 3,500kg, so check the weight plate carefully on whatever Transit you’re driving to make sure you stay on the right side of the law. To tow up to the maximum 3.5 tonnes (3,500kg) you’ll need a rear-wheel drive Transit with the 170hp 2.0-litre EcoBlue engine – plus the correct axle ratio.